Tell your loved one to do you both a favor and get the flowers that won't ever die 😉Shop these gorgeous enamel and diamond Pansy earrings HERE! 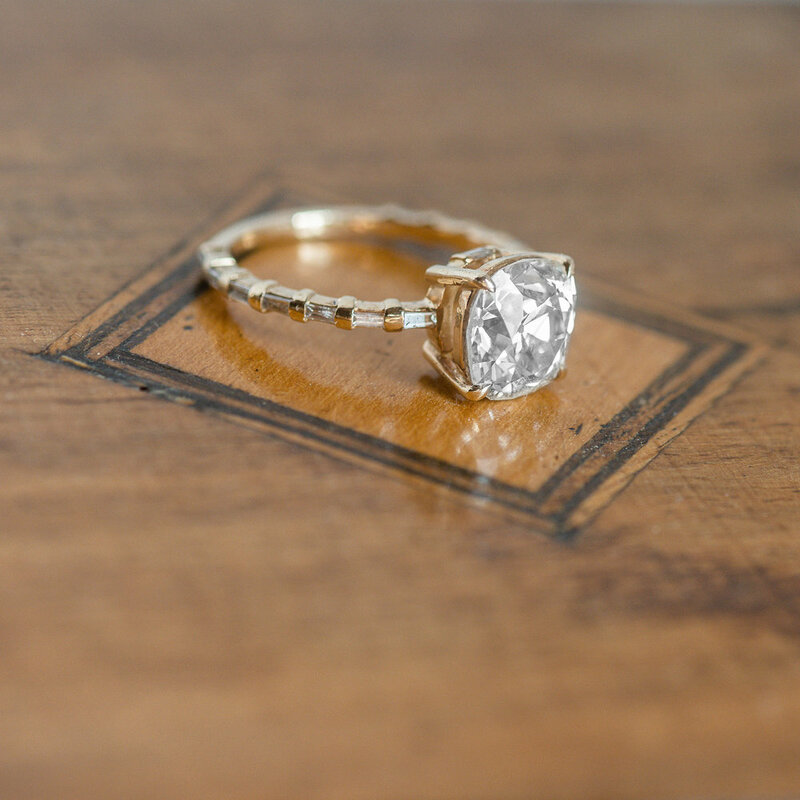 Catch a glimpse of some Walton's pieces in a recent styled shoot at Rippavilla Plantation! Thanks for including us in the magic, Weddings by Rachel 💕 Click HERE to shop! 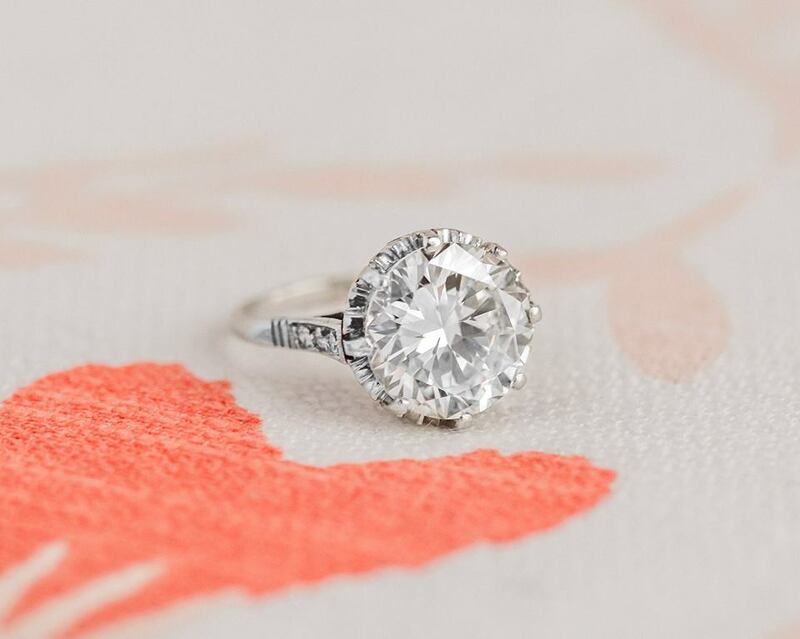 Swoon over this gorgeous 1.90 carat Old Mine cut diamond ring! Click HERE to shop! It's Wednesday...treat yourself to something pretty! 😉 Shop this pendant HERE! Up close and personal! 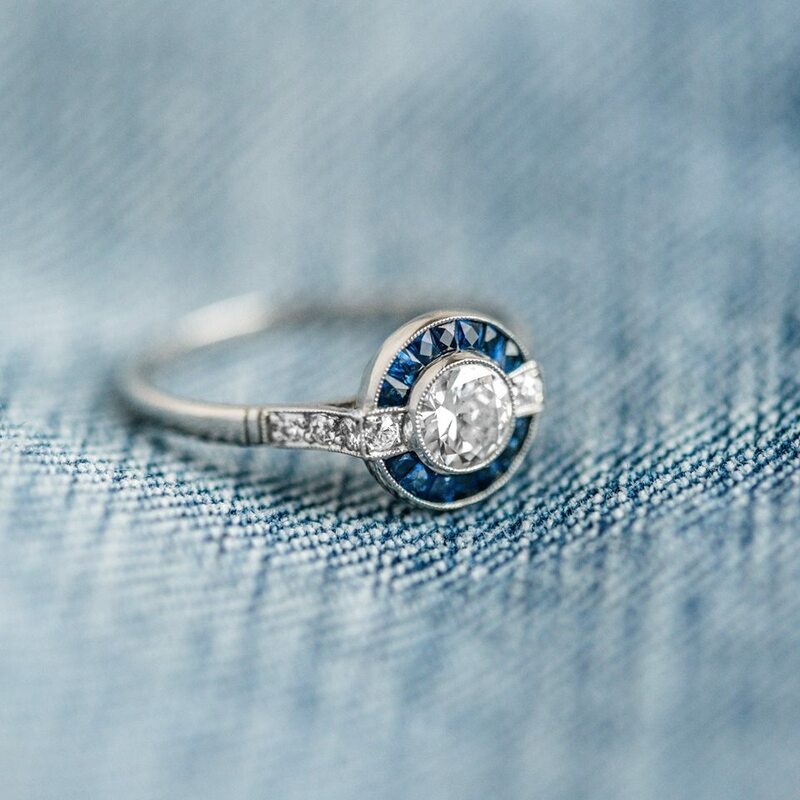 We’re drooling over the Old Mine Cut diamonds in this Victorian turquoise ring! Click HERE to shop. From Pin to Pendant. We love repurposing these Art Deco beauties! 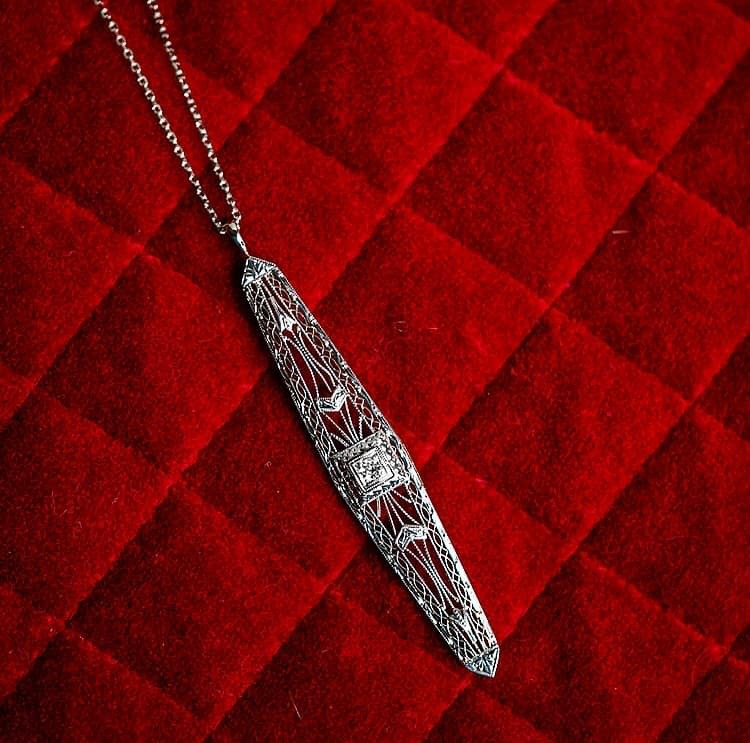 Shop this gorgeous Art Deco Pendant HERE. Will you be our Valentine? 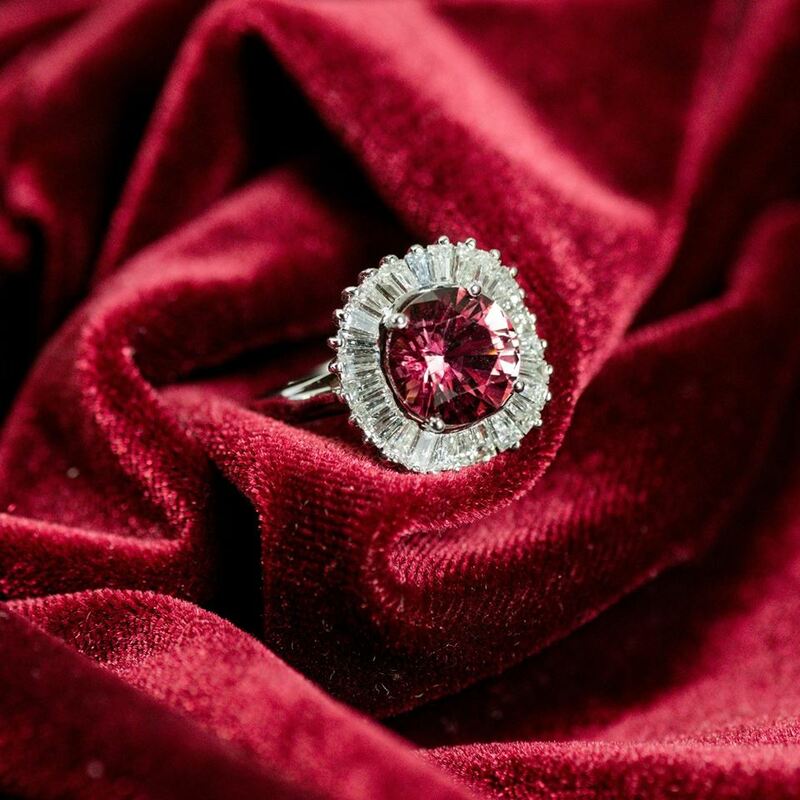 💍🌹 Shop this swoon worthy Edwardian era ruby and diamond ring HERE! A 4.91 carat diamond knockout! Click HERE to shop! Walton's advice for the weekend: You only have one life to live- So, wear that big gorgeous ring with your jeans, girl! 💍 Click HERE to shop! Have you made YOUR Walton's Wishlist? 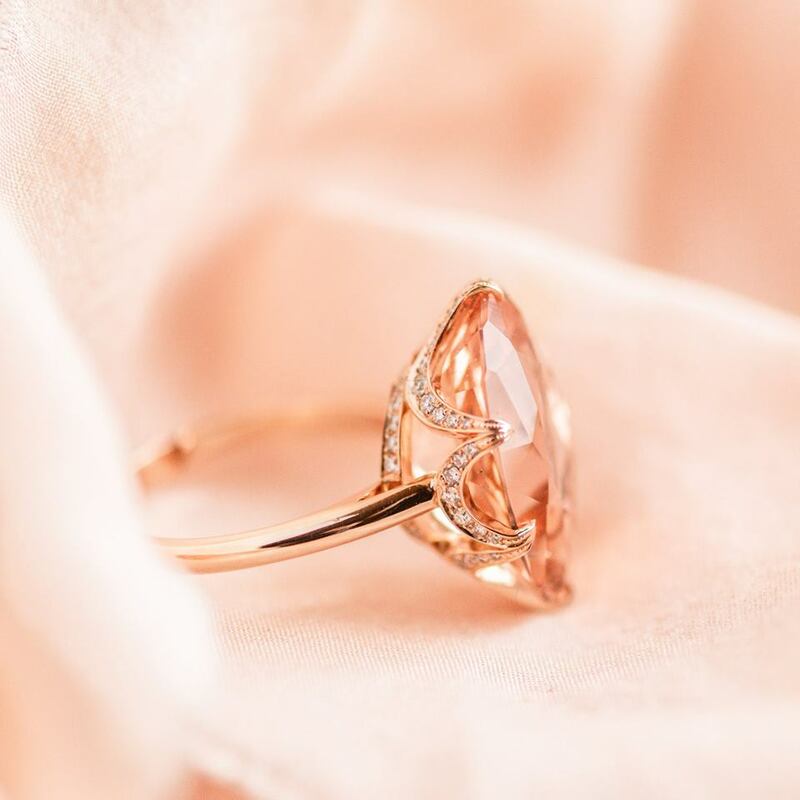 Make it simple for your sweetheart this Valentine's Day and create your own custom wish list...that might even include this gorgeous Morganite and Diamond ring 💕 Click HERE to shop! 1.51 carats of diamonds. All the beauty. All the class. Click HERE to shop! Platinum topped 14k yellow gold, Old European Cut Diamonds, with a Pearl on top! Click HERE to shop! Romantic red hues in this lovely garnet and diamond ring. Click HERE to shop! This 1920’s diamond ring is timeless elegance, featuring a center 0.98 carat Old European cut diamond set in platinum. Click HERE to shop this beauty. 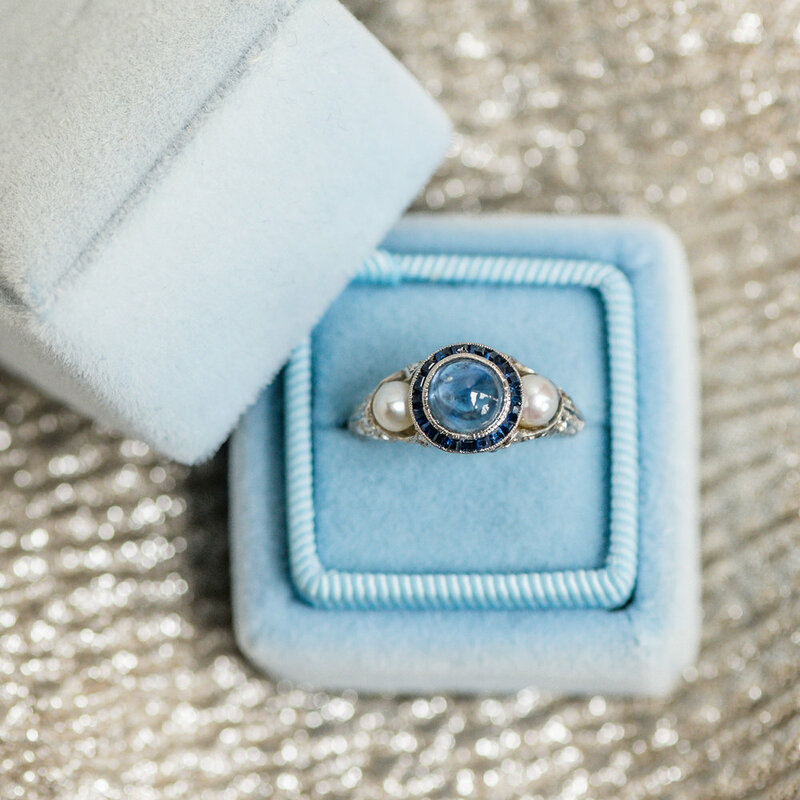 This absolutely gorgeous shade of blue is in fact an aquamarine! And it’s all original from the turn of the century (Edwardian era - early 1900’s)! Click HERE to see all the glorious details of this stunning pendant. Mesmerizing Edwardian era emerald and diamond ring featuring a center 0.50 carat Old European cut diamond. Click HERE to shop this beauty! 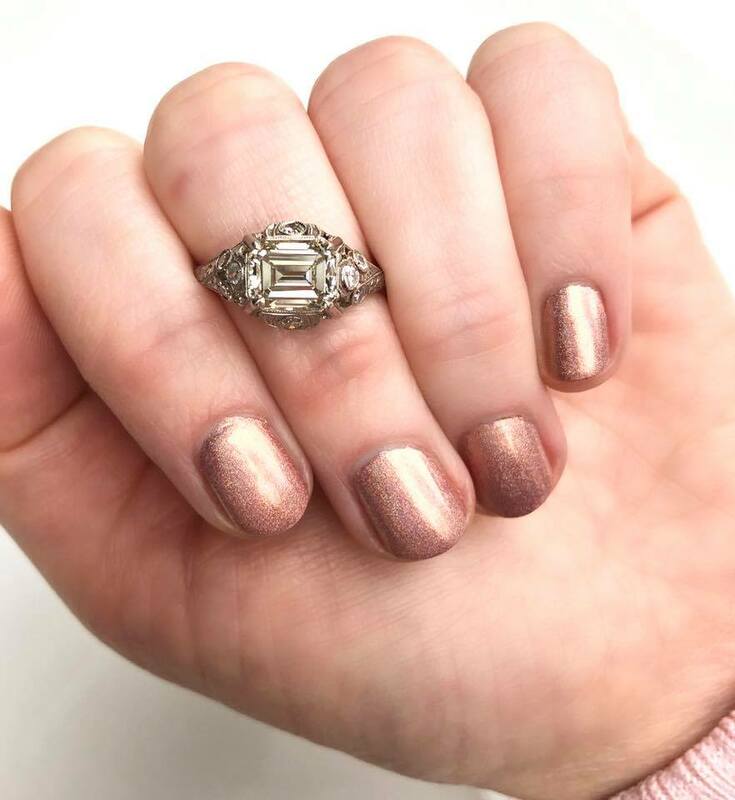 Stepping out with this fabulous Art Deco step cut diamond ring! Click HERE to see the details for this 1.56 carat emerald cut diamond ring from the 1920’s. But, we know know what we are doing here at Walton's! We are here 10am-5pm December 27th-29th and then will be closed for our annual Winter break December 30th-January 7th. Merry Christmas Eve! Nothing quite says Christmas like the gorgeous hue of this garnet and diamond ring! Call our showroom to shop! Some things just speak for themselves. No caption needed. $675. Art Deco brooch turned pendant. 0.10 carats of European Cut Diamonds in a 14k white gold mounting. Well, tangle my tinsel and call me Santa! 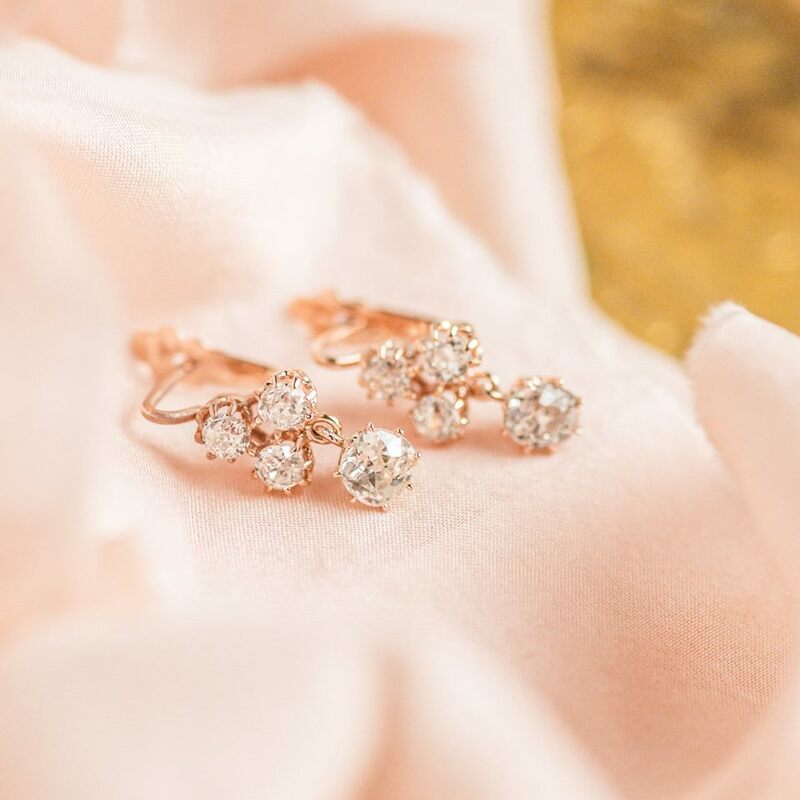 These might just be the most fabulous diamond earrings we have ever seen! Does this Emerald ring have you singing "Oh Christmas Tree" or "You're a mean one Mr. Grinch?" Either way, this Emerald is the perfect shade of festive! 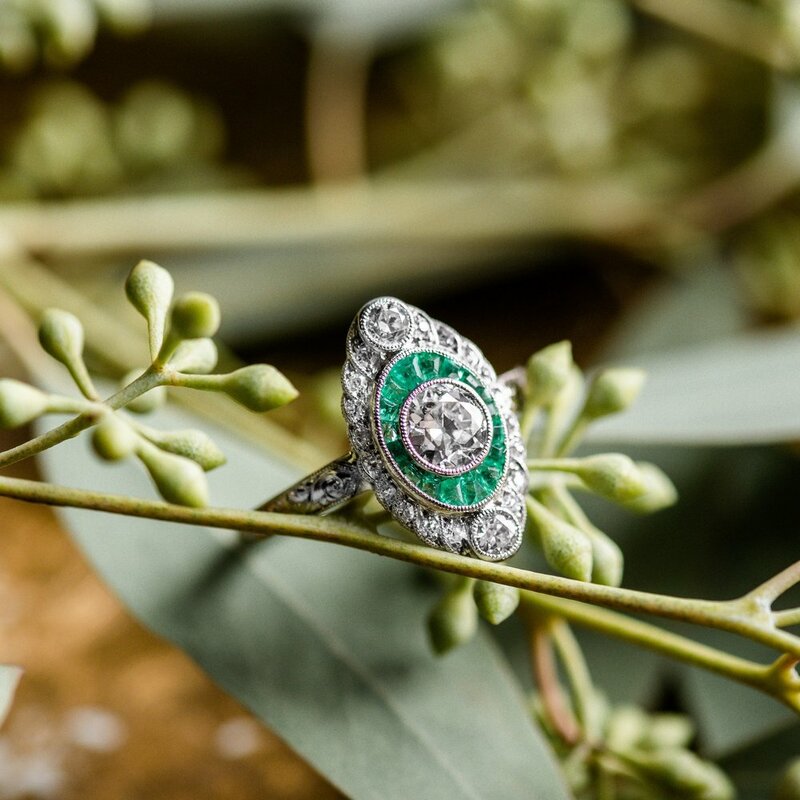 Shop this perfectly green Art Deco ring HERE! 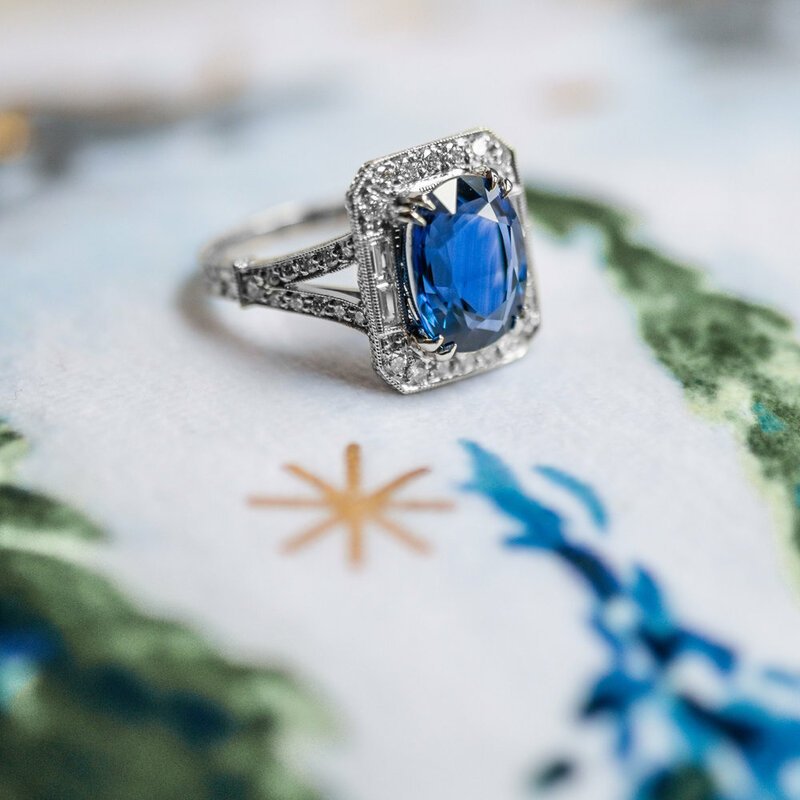 Baby, it's cold outside- but we're still swimming in the deep blue of this almost 9 carat Aquamarine! Shop HERE. Absolutely stunning Art Deco emerald, diamond and platinum ring. Call our showroom to shop! 4.84 carats total weight of diamonds in these fabulous stud earrings! Click HERE to shop! Art Deco brooch turned pendant. 0.10 carats of European Cut Diamonds in a 14k white gold mounting. $675, call our showroom to purchase. Asking for a friend....If you wear an Imperial Topaz, does that make you a Queen? 👑 . Shop this regal Imperial Topaz ring HERE! 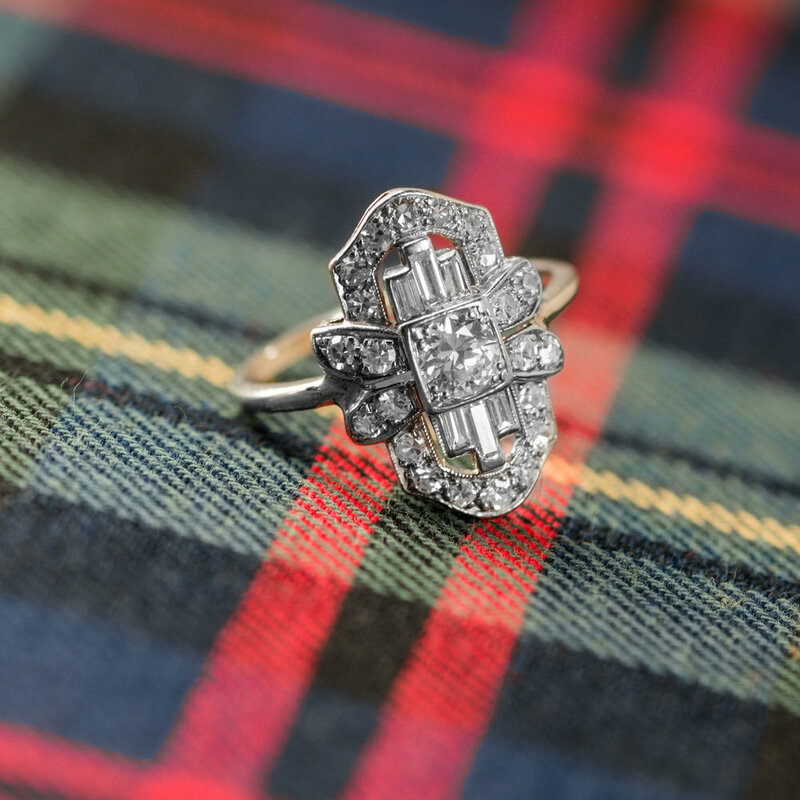 A little bit of plaid and a whole lot of diamonds! Tap HERE to shop this ring! 58 facets of fabulous in this 2.53 carat Old Mine Cut Diamond 😍💍 Shop this beauty HERE! Crossing our fingers and toes for a white Christmas....and for these snowflake earrings to show up in our stockings ❄️🤞 Shop these beauties HERE! Can you EVER have too many stackable bands? The answer to that is a resounding "NO", Ladies and Gentleman. You can NEVER have too many stackable bands 😉 Shop these emerald bands HERE and HERE! Take a deep breath in the hustle and bustle of the Holiday Season and experience the luxury of Walton's. 💃👠💍 Shop this ring HERE! Happy December! The countdown is officially on! 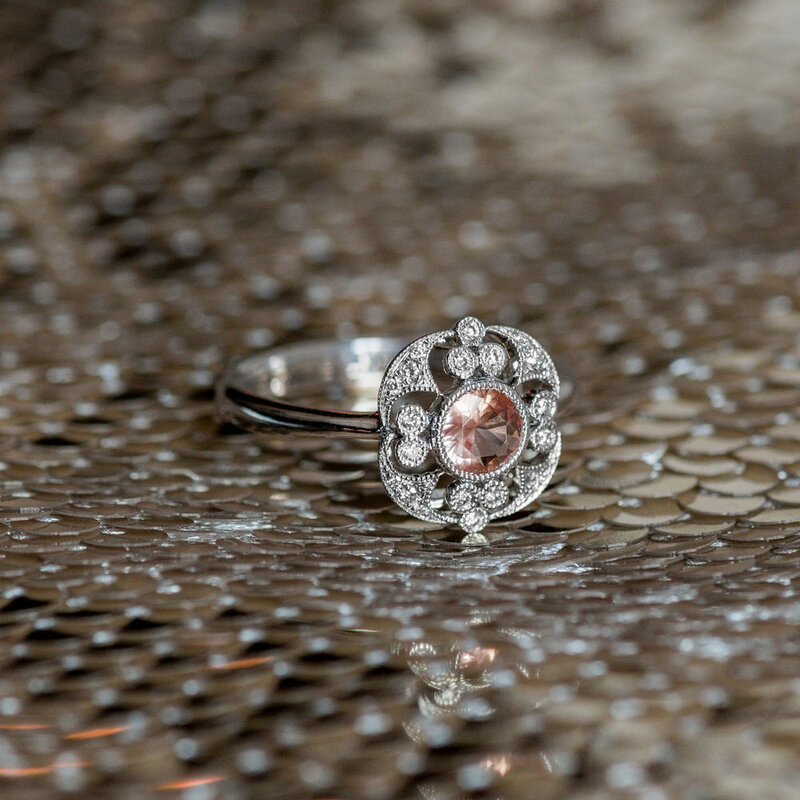 Will you be the lucky lady to find this Art Deco diamond and ruby ring in your stocking on Christmas morning?? Click HERE to shop! Fabulous 2.06 carat Old Mine cut diamond, beautifully accented by diamond and filigree details. Shop this beauty HERE.